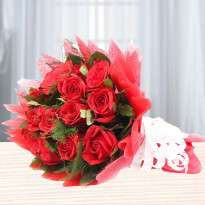 There’s no better place to order valentines day flowers online in Gwalior than Winni. 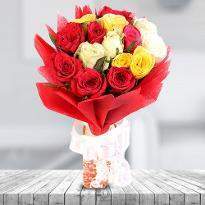 Whether you’re looking for roses, orchids, gerberas, carnation, or lilies, we have the supreme quality blooms and the most brilliant florist’s partners who can create exactly what you order. 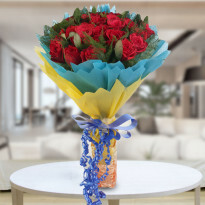 Mesmerize and delight your loved one this Valentine by ordering and sending Valentine's day flowers to their doorstep from us. 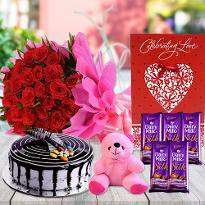 Have you been planning to make your special one feel extra special and loved for quite a long time? 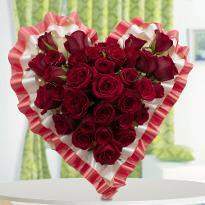 If so, they make the fullest of Valentine’s day with Winni gorgeous collections of Valentine flowers online. 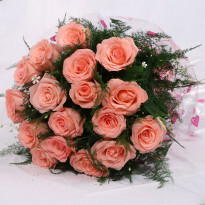 Yes, now convey your feelings for your lover romantically by sending beautiful flowers online from us. 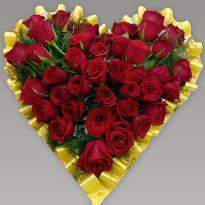 The feeling called love is something that takes you on cloud nine, a feeling that infuses sweetness in every day, each moment of your life. 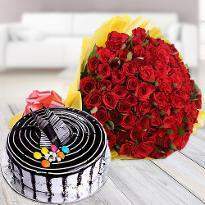 Although, expressing your love for your special one doesn’t need a special day or occasion, celebrating its beauty inevitably requires a special day in Gwalior. 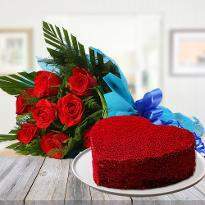 And, can there be more special day than Valentine’s day to celebrate the love of your life? 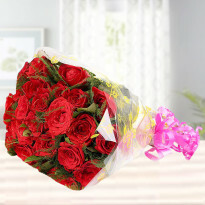 So, with the season of love approaching faster, if you are planning to propose that special one of yours or that new girl in college whom you have fell in love at first sight with then, you should buy a bouquet of Valentine's day flowers before popping the question will you be my girlfriend? 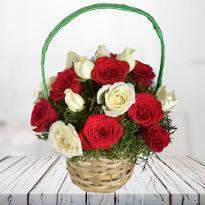 Well, if you are one of those shy guys who always get nervous while expressing his feelings for special one then, don’t worry because Winni offers you a vast collection of Valentine’s day flowers that will speak out your emotions for your special one on your side in Gwalior. 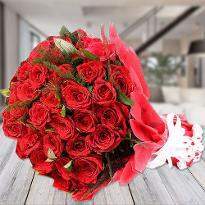 Yes, whether you want to make your girlfriend feel extra special on valentine’s day or express your emotions for the girl you have been stalking for a month, the best way to converse the love on Valentine’s day is through Valentine’s day flowers arrangement by Winni. The most romantic day of the year is approaching. 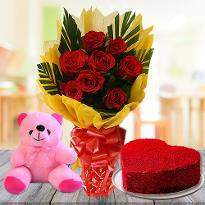 And whether you’re in a new relationship or celebrating another sweet day with your Valentine, you want to make an impression. From floral gifts to the part of your date, we’ve got you covered. 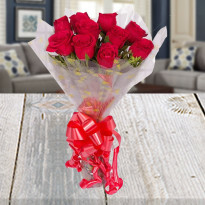 Valentine’s day has become a tradition each year to send flowers to that special one to let them know you care and declare your passion just by sending beautiful red roses. 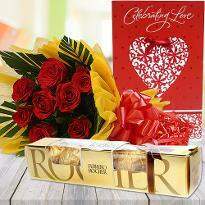 Popular Valentine's Day gifts include a single red rose, but most opt for luxurious roses which is the ultimate romantic gesture. 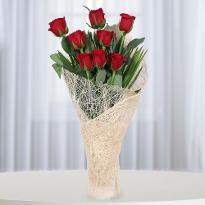 Thus, Winni takes the resposibility to deliver Valentine flowers online and that too without any hassle. 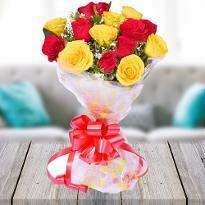 Sending flowers to your special one is one of the most favored paths taken to express the tender affection of love and passion for them. 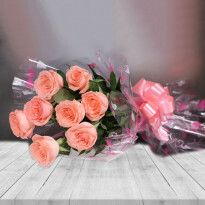 From the olden times, the significance of flowers has been kept when there were very few choices available to send the purest sentiments of romantic love. 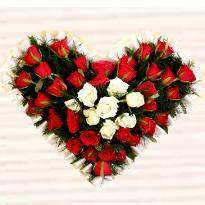 Heart shaped flowers are the perfect expression of love for your special one. 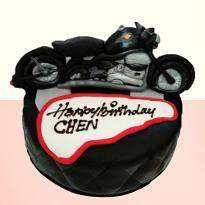 They express emotions most wonderfully and no wonder, they top the chart of best gifts. 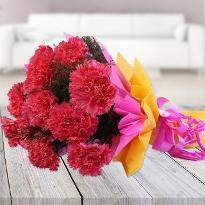 A couple would choose flowers over anything else, to show the devotion being held for their special one. 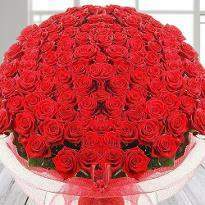 And especially, if it’s Valentine’s day, one should make a pick of the choicest of Valentine’s flowers online. 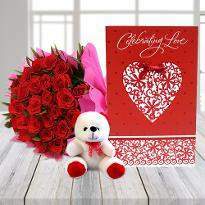 Therefore, Valentine flowers and Valentine’s day gifts for her must be a symbol of passion, love, tranquility, and faith in the relationship. 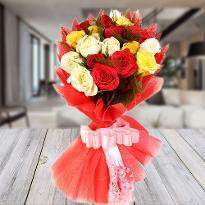 Winni understand your emotions and makes it an endeavor to craft the timeless gifts wrapped in lovely floral bunches.